Your colors aren’t bright enough…..
Gah, trying to educate gallery managers on natural dyes is a never ending conversation. My latest rug came home with me instead if hanging in the gallery because of color issues. One just had to keep educating! 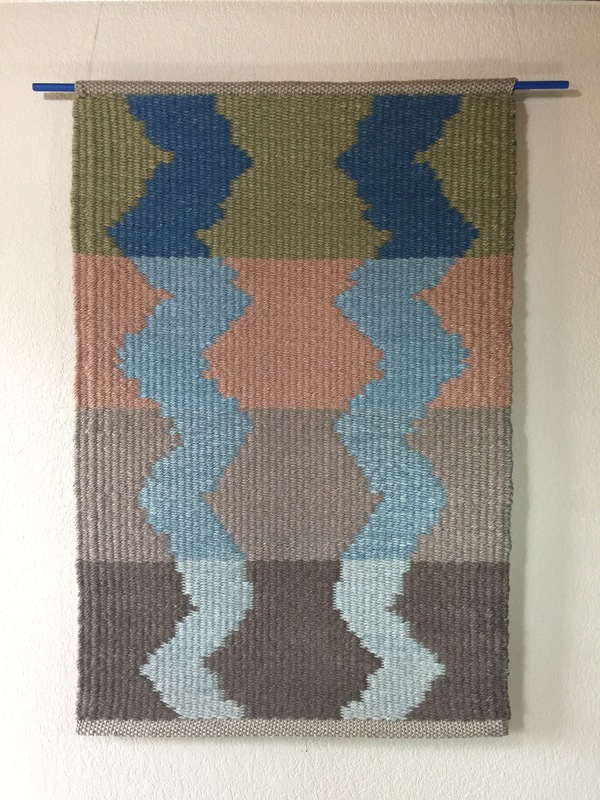 In the meantime, this handwoven natural dye rug is available direct from the weaver and hand dyer. $800 + tax/shipping. Leicester Longwool, natural dyes as indicated below. 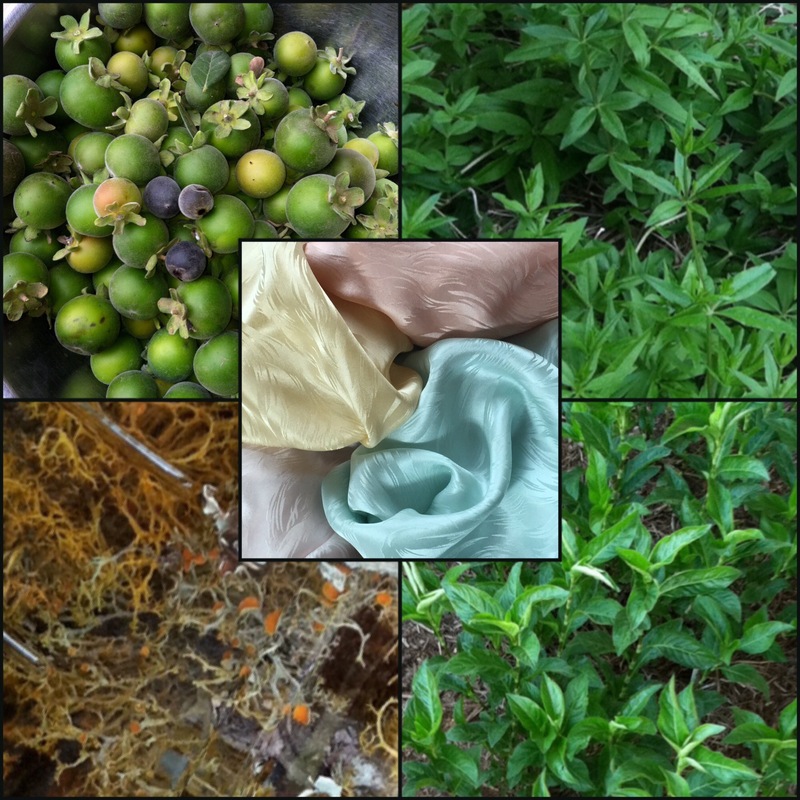 As we start 2015 I am creating collage photos of the dye plants and the finished product in one photo. Quite a composition challenge! Here is a start! Happy New Year to all! This is a silk shawl donation for our public library here in Johnson City, Texas coming up in March. 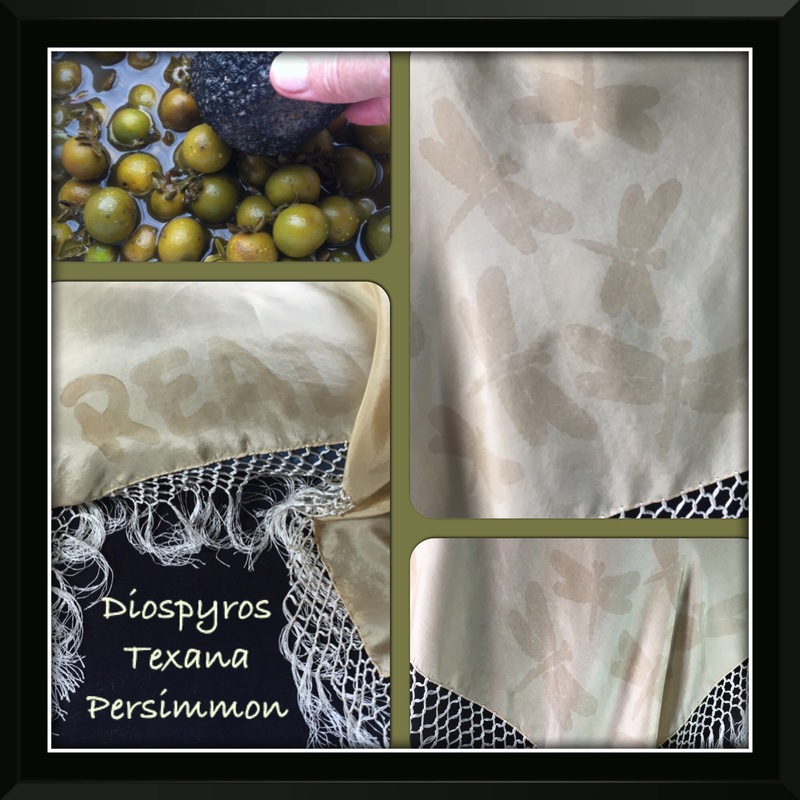 It is screen printed with an iron mordant and dipped in our Texas Persimmon. And these are some large silk wraps dipped in my local native or garden grown dye stuff. 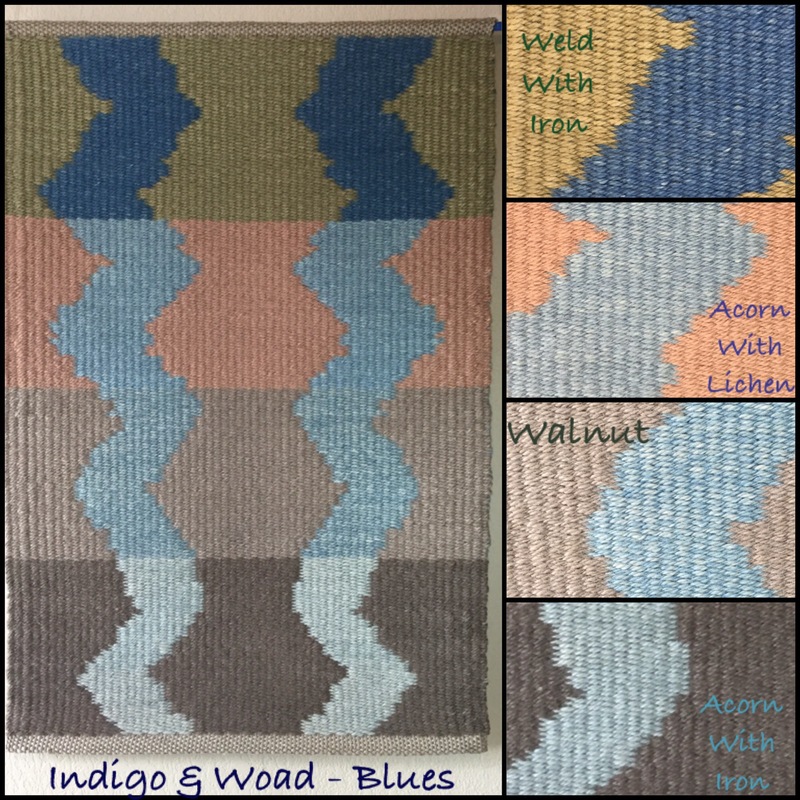 Starting top left and working clockwise…..the source colors are Texas persimmon, Texas red madder root, Japanese indigo and teloschistes exilis, slender orange bush lichen.